The new CD, "Invasion", is now available on planet earth!! 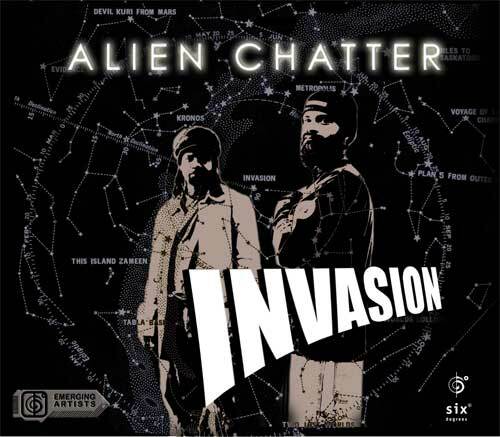 Alien Chatter has returned with their sophomore release entitled “Invasion”. The new CD finds the duo of percussionist Satnam Ramgotra and keyboardist Rodney Lee delving deeper into their unique spin on Indo-Jazz fusion that they now call Indo-Jazztronica. 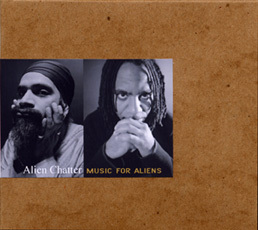 Alien Chatter is the unexpected duo of Indian percussionist Satnam Ramgotra and keyboardist Rodney Lee. Their sonic emissions are a sophisticated blend of atmospheric electronic textures and exotic rhythms. It’s an eclectic mix of Indian tabla drums, acoustic jazz piano, synths, beatbox, spoken word in a primordial soup of electronics. 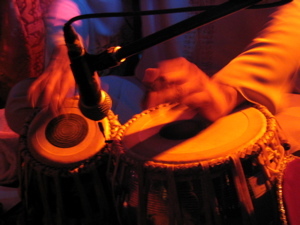 The resulting experience is what happens when Massive Attack meets Tabla Beat Science and chill with the martians. 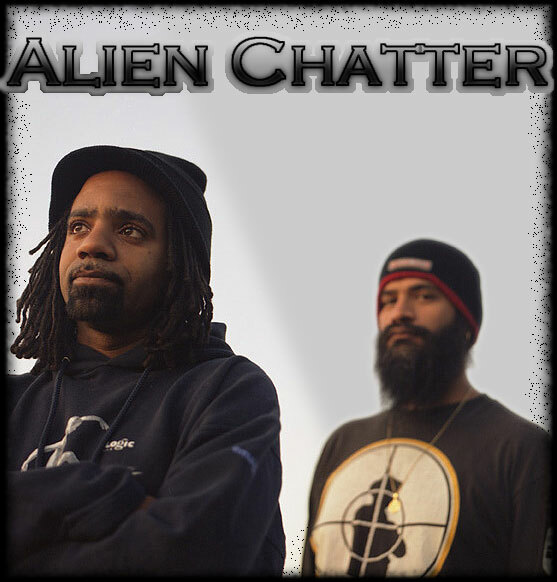 Formed in 2002, Alien Chatter was surprised, to so say the least, by the critical acclaim heaped upon their genre busting debut release, "Music For Aliens" in 2003. In addition, they began to acquire a diverse and ever-growing audience from their live performances throughout Los Angeles...an eclectic audience seeking refuge from the sameness of the music around them. "We are continually overwhelmed by how well the music works on listeners who have no idea what they are about to hear, says Rodney Lee. In a lot of ways it is refreshing to play for an audience that has no pre-conceived expectations and is open for something new." Individually, the duo has racked up an impressive list of credits as 'hired guns' in the music world. 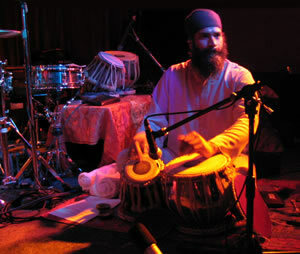 Satnam has played drums, Tabla, and percussion with everyone from Beck to Sting to Nikka Costa to Niyaz and Cheb i Sabbah and has worked extensively on film and television music. 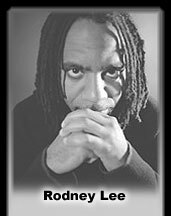 Rodney Lee has played/recorded with Terence Trent D'Arby, Freddie Hubbard, Anastacia, Jody Watley, The B-Sharp Jazz Quartet, and many others. 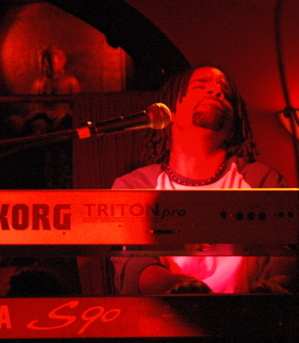 Lee has also been involved in composing music for film and television. 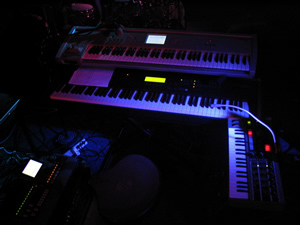 In the tradition of Indo-Jazz Fusion and world electronic artists such as John McLaughlin, Shakti, Mahavishnu Orchestra, Zakir Hussain, and Talvin Singh, Alien Chatter is forging new ground with it's unique modern take on East meets West. "We call it INDO-JAZZTRONICA, says Satnam Ramgotra. So Sit back, relax, and listen to Alien Chatter." Check us out, and become our myspace friends!!! 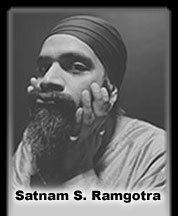 During the process of recording our first CD, Satnam brought in a few of his poems that reflected a one world, one people sentiment. 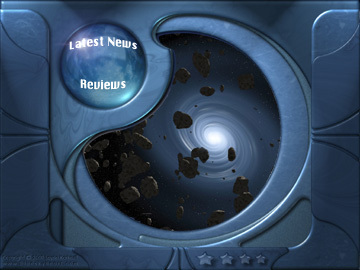 This theme tied in beautifully with my fascination of the cosmos and the belief that we are connected to something much greater than the day to day rotations of our tiny planet. We included these poems as spoken word moments on a few of the tracks. This synergy lead to a desire to forge a relationship with the countries of our ancestors that would go beyond the musical legacy reflected in our compositions. So we decided to support charities involved in both Africa and India. Watch this space for more info....more shows, more pictures, more music........this is only the beginning!!! !